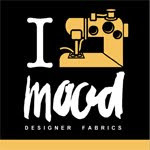 Right, well my good intentions of starting a sewing/fashion blog did not transpire. But alot has changed, which should excuse my tardiness. Life has happened for me. I moved to London, live with the Canadian and am now on a full time sewing and pattern-making course. Life is wonderful. There are ups and downs, of course, but essentially I am onto a good thing. I am learning alot, not just in sewing but in my life too. We seem to have some in common. I started focusing on woven fabric to really learn fit and get clients. I'm slowly getting clients but I think I could still use some more practice. I guess we practice sewing our whole lives. I've never thought of freelancing sewing articles but the elusive book, oh yeah. And I'm still just getting to know your blog and stuff, but your first post mentioned costumes. I just took part in the 1912 sewing project. We worked on original vintage patterns from that year. So fun.